I was skeptical of so many positive testimonials but my experience was the same if not better than other testimonials posted. Dr. Toman is a special gift to us all. My two teenagers, Cori and Caleb have had multiple athletic injuries over the four years and I had doubts they could continue with their sports. 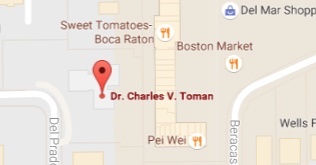 After searching for a good doctor, we found Dr. Toman and it has been a blessing. 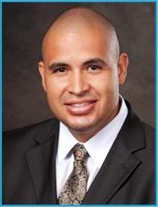 Dr.Toman assured us we were in good hands and very much proved it to us. I have used Dr. Toman for a very long time. He’s a really good surgeon! Im a 16 year old high school and competitive cheerleader so I get injured a lot. I had surgery on my left ankle about 2 years ago and he was the only doctor who believed that something was wrong and fix it. I could not be more satisfied with the work Dr. Toman has done on me. I am a recent graduate of high school and Dr. Toman has extensively repaired each of my shoulders after both, my junior and senior years after each football season. Dr. Toman performed a knee replacement revision on May 22, 2012 and the surgery went smooth, follow-up was thorough and now about six weeks later I am progressing very well thanks to his care and the physical therapy. I also want to compliment Fawcett Hospital for an incredible, positive professional but personal experience. I had total left shoulder replacemenmt on June 5th 2012. Today is July 6th 2012 and I really feel like a new man. I still have some healing to do but the best thing the pain that I had prior to the procedure is gone. Dr Toman performed surgery on my rotator cuff, which was pretty badly mangled. I had a minimum amount of discomfort during the recovery period and I am happy to say today it is well fully functional and pain free. Dr. Toman performed my total knee replacement on May 1. While I am not fully healed internally 2 mos. later, I am doing wonderfully. Most are in awe at how fast I am recovering and how well my incision looks compared to their own. Having had a failed back surgery in 2006 in Ft. Myers, Fl. I was very hesitant when told by several doctors that my right hip was “bone on bone” – the reason for so much pain. This time I was determined to do my homework in choosing the “best” orthopedic surgeon around. With the recommendation of my primary care doctor, previous patients of Dr. Toman. I want to thank Dr. Toman and the whole staff for the wonderful care that you gave me and my husband through all my visits and my shoulder surgery.